The new PRENART SUPER QUARTZ soil water sampler combines the inert character of PTFE with the good hydrological conductivity of silica flour in a unique way. The sampler works in all soil types, in all depths and under all conditions. All samplers are tested individually. 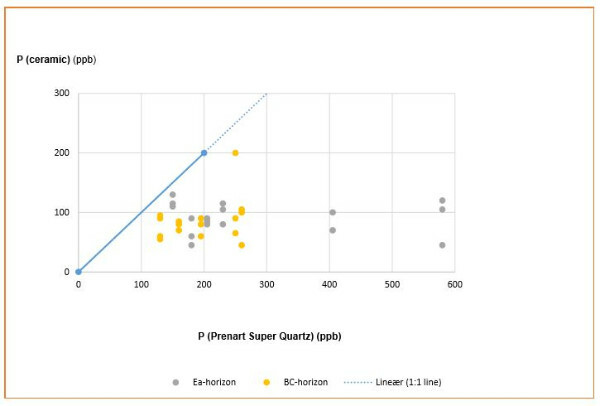 The contamination from the PRENART SUPER QUARTZ sampler exposed to absolute clean water is below the detection limit for all elements. The PRENART SUPER QUARTZ soil water sampler does not retain phosphorus, TOC or other element like similar samplers made of ceramic or porcelain do. 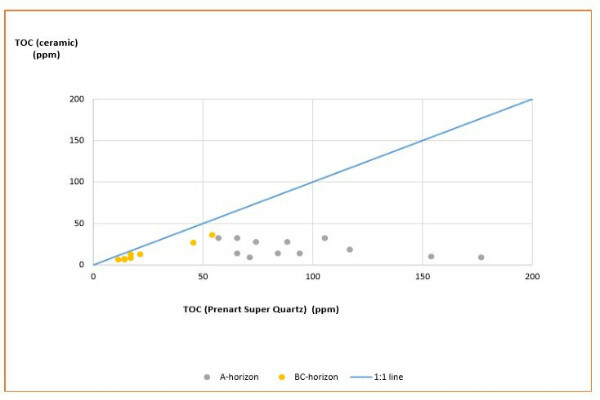 When Prenart Super Quartz and ceramic soil water samplers are installed in parallel within a distance of 10 cm from each other, the findings show that the ceramic soil water samplers retain both phosphorus and TOC (total organic carbon) to a larger degree than the Super Quartz samplers, especially at higher concentrations. 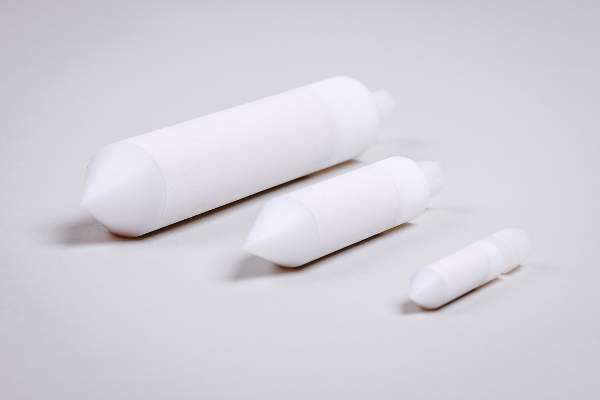 ← Monthly mean concentrations of P (ppb) in soil water samples obtained with the PTFE and ceramic samplers plotted against each other. 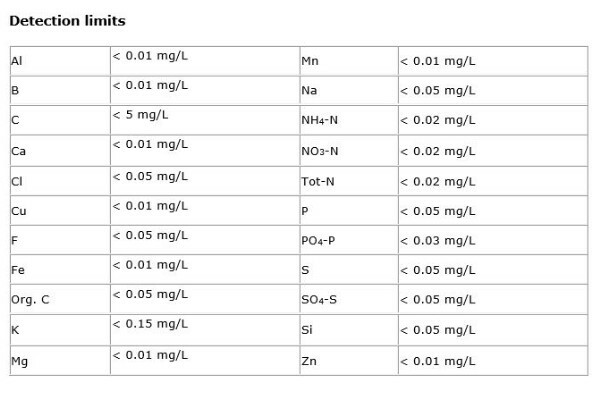 ← Monthly mean concentrations of TOC (ppm) in soil water samples obtained with the PTFE and ceramic samplers plotted against each other.